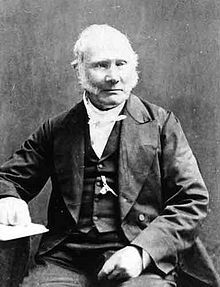 Robert Stirling was born in Cloag on October 25, 1790. He studied at the University of Glasgow, as in mentioned in the Fastie, but also at the Edinburgh University (1805-6 and 1808). In 1805 he took classes in Latin and Greek and in 1806 he studied advanced Latin and Greek, logica and mathematics, metaphysics and rhetoric. There is no record of his classes in 1808 and it is possible that it is not the same Robert Stirling who attended in that year, as owing to a change in the system of keeping records at that time his place of origin is not given. Robert Stirling was 15 years old when he went to Edinburgh. This age, or even younger, was quite normal for entering the university in those days. Robert Stirling was licensed to preach by Presbytery of Durnbarton on July 4, 1815. He was presented to the second charge at Kilmarnock, Ayrshire, by the Commissioner of the Duke and Duchess of Portland, and was ordained to the Ministry on September 19, 1816. He immediately became second or junior minister of Laigh Kirk, Kilmarnock, and two months later he applied for his first patent for the Stirling air engine and the heat regenerator - or economiser, as he himself called it. The patent assigned to him was No 4081 of 1816. On July 10, 1819 he married Jane, the eldest daughter of William Rankine, a wine merchant at Galston, and five years later he had been 'translated' to Galston as minister of the church there. In 1827, and again in 1840, he and his brother James re-patented the air engine. Early in 1840 the University of St Andrews, the oldest of Scottish universities, conferred upon him the honorary degree of Doctor of Divinity, probably in recognition of his scholarly attention rather than for his additional scientific achievements, as is stated in some places. Without any doubt this was a glorious day for the minister of Galston, who nonetheless remained in the village of his ministry, gaining widespread respect by the quality of his life and work- a quality shown by his care for the victims of the 1848-1849 cholera epidemic. Ill-health at last forced him from the pulpit in 1876, and he died in 1878.